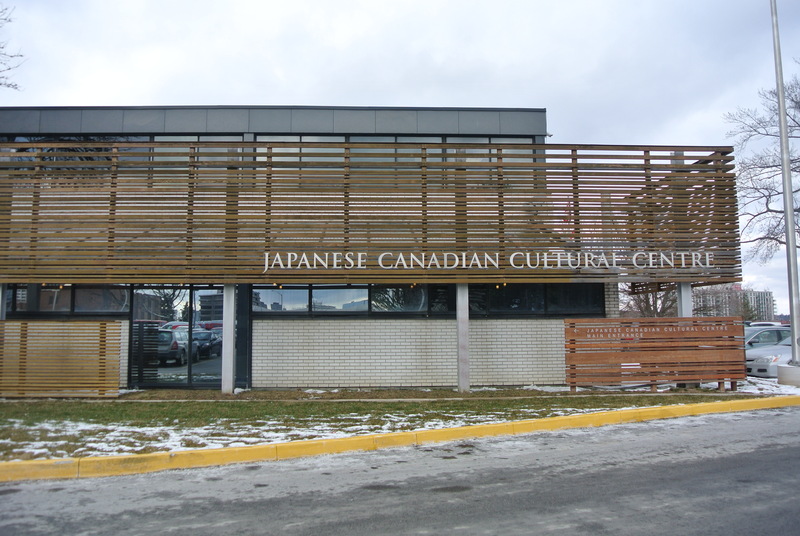 With all my trips back to Japan, I quickly learned about Japan’s love of chestnuts. I’m not a bit fan of chestnuts but I think as I get older my taste buds are starting to grow a liking to this unique flavour. 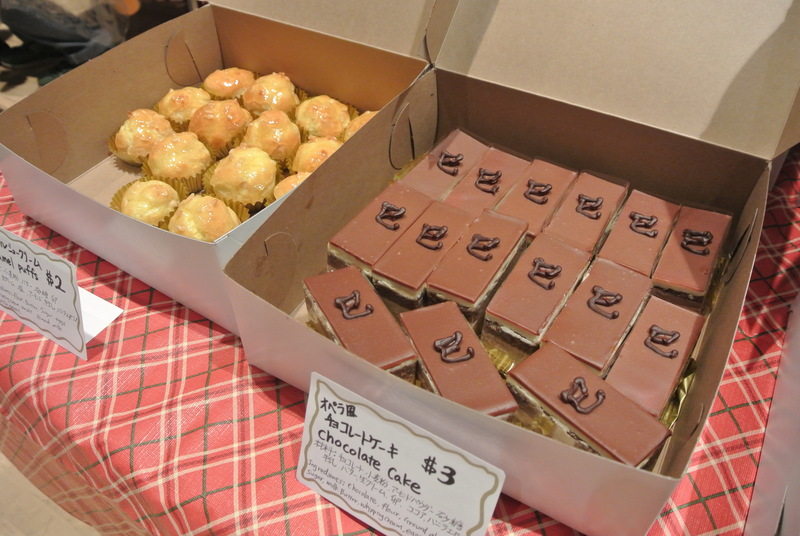 This past weekend at the Japanese Cultural Centre, beside my mom’s table of sweets was a home pastry chef (Le Petit Ange) who was also selling her sweets – Japanese style cakes. 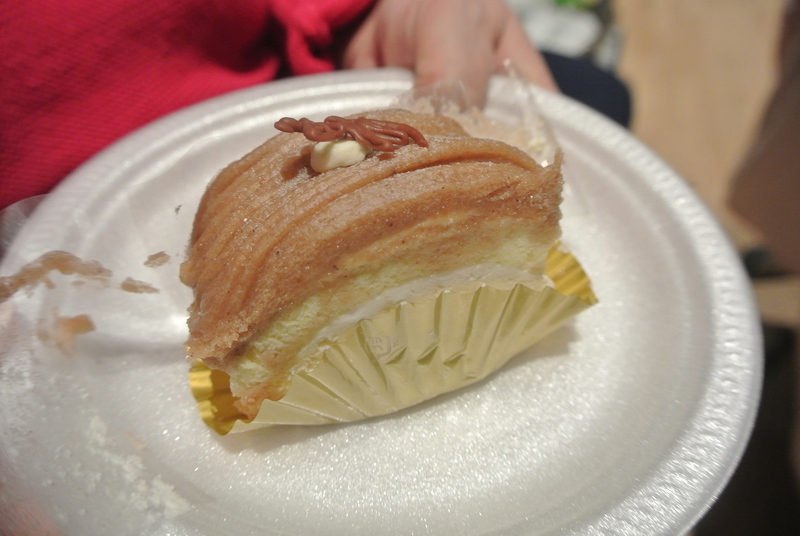 She had four kinds: cream puffs, chocolate cake, strawberry roll cake and the “Mont Blanc” or the Chestnut Cake. During one of our short breaks, my mom and I decided to buy a couple of cakes to try – the strawberry roll and chestnut cake. They were delicious! 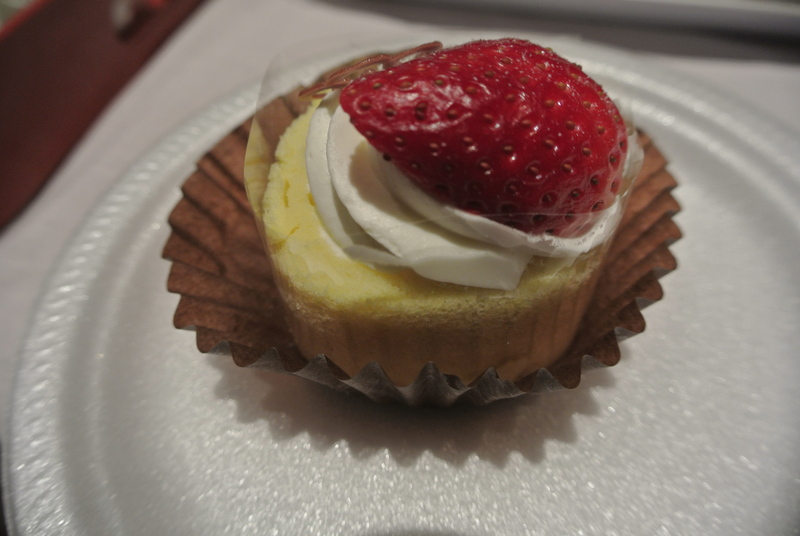 Definitely catering to the Japanese tasting palette, the cakes were not too sweet, really light and delicate. Check it out! Close up of the mont blanc before we devoured it. 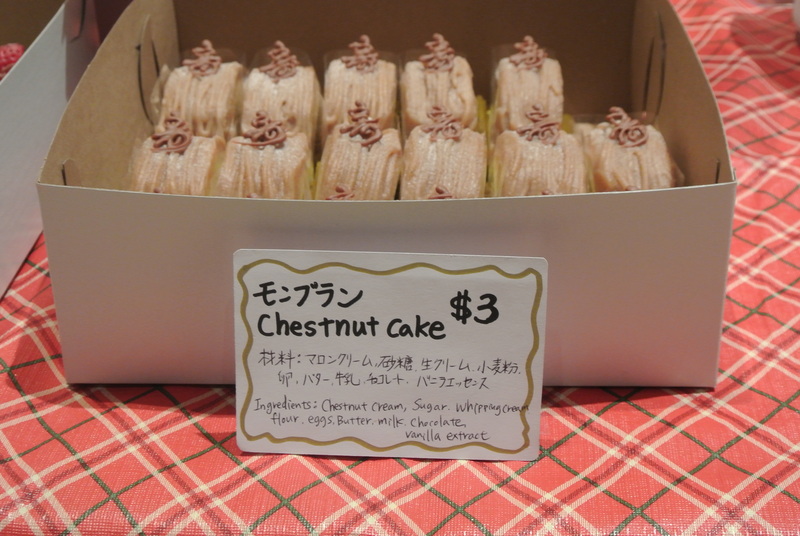 Chestnut Cake – looks so pretty. 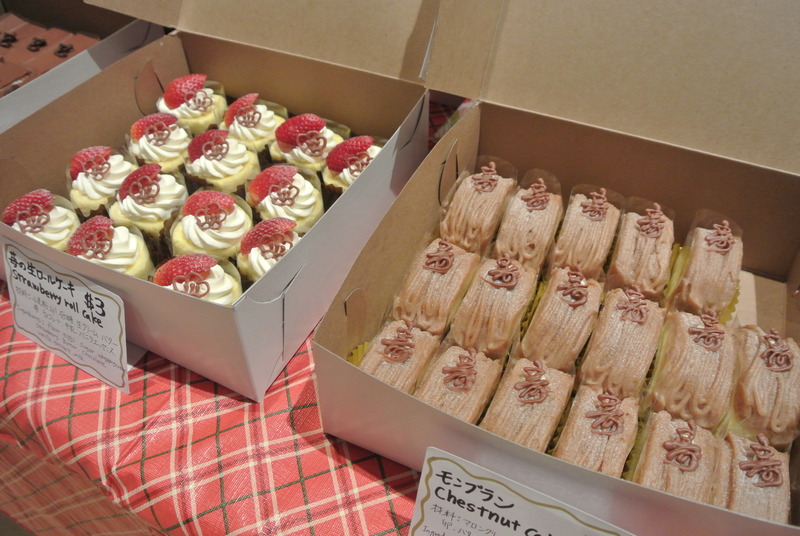 Le Petit Ange – strawberry roll cake and Mont Blanc or Chestnut Cake. Le Petit Ange – cream puffs and chocolate cake.